Albanian-Swiss author Elvira Dones will discuss the journey of her novel Sworn Virgin into English with her translator Clarissa Botford and publisher Stefan Tobler. The panel, chaired by Rosie Goldsmith, will also explore issues of multilingualism and multiculturalism in the literary sphere. Sworn Virgin is about Hana, a woman seeking independence in Albania by following tradition and vowing to live the rest of her life in chastity as a man, Mark. This decision is challenged when years later Mark is invited to join a cousin in the US, which may be his only change to escape his vow. Elvira Dones is a bilingual novelist of Albanian origin. Born in Durrës and raised in Tirana, under a Stalinist dictatorship, in 1988 Dones defected to Switzerland. She is the author of seven novels and two collections of short stories. She wrote her last two novels in Italian. Her literary work has been translated into Italian, French, English, German and Polish. Sworn Virgin was made into an award-winning film. Dones is also an award-winning documentary filmmaker. Clarissa Botsford has worked in the fields of teaching, intercultural education, editing, translating and publishing and is also a singer, violinist and humanist celebrant. She currently teaches English and Translation Studies at Roma Tre University. Her recent translations include:Sworn Virgin by Elvira Dones (And Other Stories, 2014) Ontani in Bali by Emanuele Trevi (Humboldt Editions, 2016), Valerio Magrelli’s Condominium of the Flesh (Free Verse Editions, 2015) and excerpts of his Geology of a Father (Comparative Critical Studies, 2017) commended at the John Dryden Translation Competition, and Nadia Terranova’s Contrary Years, which won the 2016 The Bridge Prize. Her translation of Elvira Dones’s Burnt Sun was a special feature in Asymptote in 2017. She is currently working on Marco Belpoliti’s Primo Levi: an Identikit, a critical compendium to the Complete Works of Primo Levi. Stefan Tobler is the publisher of And Other Stories and, whenever time permits, a translator from Portuguese and German. His translations include the 2017 Helen and Kurt Wolff Prize and 2018 Schlegel-Tieck Prize-shortlisted translation of Arno Geiger’s The Old King in His Exile, the 2015 Oxford-Weidenfeld Translation Prize-shortlisted Água Viva by Clarice Lispector and the 2016 Man Booker International Prize-longlisted and Premio Jabuti-winning (Best Foreign Publication category) A Cup of Rage by Raduan Nassar. Sometimes on twitter at @stefantobler. Rosie Goldsmith is an award-winning journalist specializing in arts and foreign affairs. In twenty years at the BBC, she travelled the world and presented several flagship programmes such as Crossing Continents and Front Row. Rosie is a linguist (French, German, Italian) and has lived in Europe, Africa and the USA. Today she combines journalism with chairing and curating literary events and festivals for leading cultural organisations. Known as a champion of international literature, translation and language learning, she promotes them whenever she can. 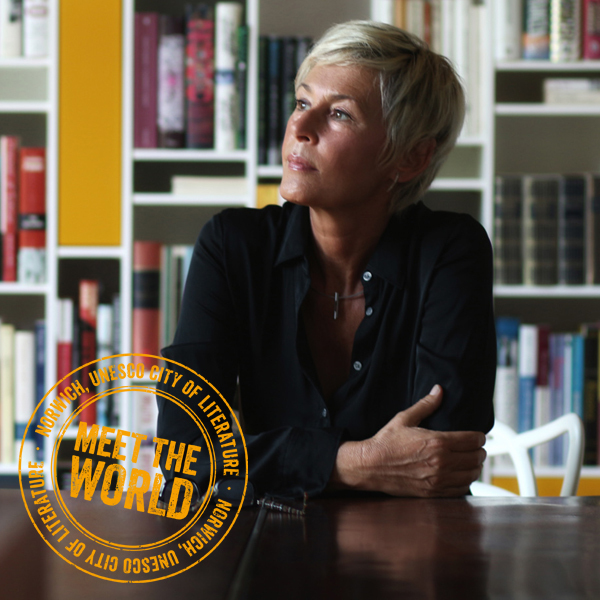 She is Founder and Director of the European Literature Network, Chair of Judges for the EBRD International Literature Prize and presents the literary podcast The Words. She is literature consultant to the Swiss Arts Council Pro Helvetia and to many cultural organisations round the world.